The world famous Besses Boys' Band are a 2nd Section brass band based in Manchester, North West England. Established in 1943 we are a local band providing music services to the local community and beyond for 75 years. Our varied programme of events can be found on our Events page and include concerts, community events, charity events and private bookings. Besses Boys' Band are available for any occasion. Please Contact Us for more information. The band was extremely proud to celebrate our 75th birthday last year. The bands rich heritage and successes are a result of our member’s commitment and to all who have supported the band and donated their time to this great organization over the years. Besses Boys' Band Qaulify for National Brass Band Champioship ! Besses Boys’ Band receive invitation to attend National Brass Band Championship of Great Britain! Besses Boys’ Band were delighted to take 2nd place at the North West Regionals Brass Band Contest. The contest took place on the 24th February at the Winter Gardens in Blackpool, where the second section took place on the Opera House stage. Besses Boys' Band entertained crowds in their hundreds at their annual Christmas concert on Sunday 16th December 2018. The free concert held at the Longfield Suite, Prestwich featured all the festive classics including traditional carrols, pop favourites and the ever popular 12 Days of Christmas and german beirkeller dance the Schneewaltzer. After recent success Besses Boys’ Band have qualified to compete at the National Brass Band Championship of Great Britain (2nd section final) this September in Cheltenham. It is a monumental achievement for the band to compete at this prestigious contest for what will be the fourth time this decade. 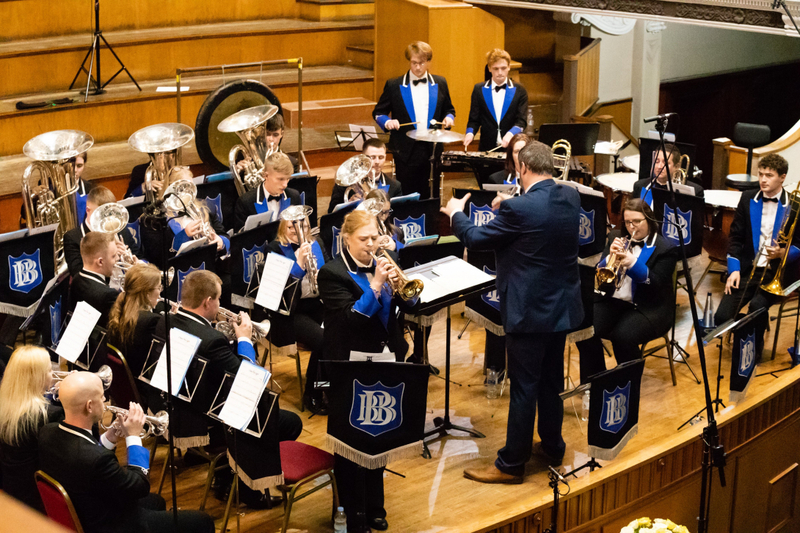 Besses Boys' Band return to the pavillion gardens, octagon theatre this year on Sunday 28th April 2019. Having placed runners up in the 2017 contest and highest placed NWABBA band. Besses return with high hopes in 2019 following contest cancellation last year due to renovation work.